2rowning takes the lives of an estimated 372,000 people annually, across the globe; that is 41 people an hour. It is a public health epidemic that impacts all countries and demands our support. It is an epidemic that disproportionately affects low and middle-income countries, with over 90% of drownings occurring in those impacted regions. We Bloom’s first country of focus in addressing this urgent problem is in Vietnam; the country with the 3rd highest drowning rate in the world. An average of 16 people per day die from drowning, half of whom are children, making it the leading cause of accident-related deaths amongst children (ages 0 – 19) in the country. The founders of We Bloom worked as volunteers with Swim for Life in Quang Binh Province of Central Vietnam from 2015 – 2017, supporting the growth and development of a new drowning prevention program. By training Vietnamese PE instructors to teach children survival swimming skills, the impact was maximized while holding down costs. 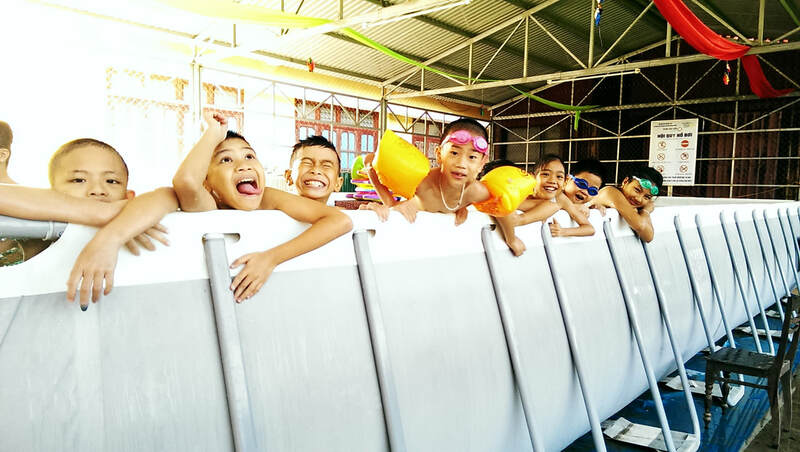 A classroom-based water safety education program was also created and implemented, resulting in a reach of 72,000 students. This gave us them platform to elevate the program and develop a national research project.